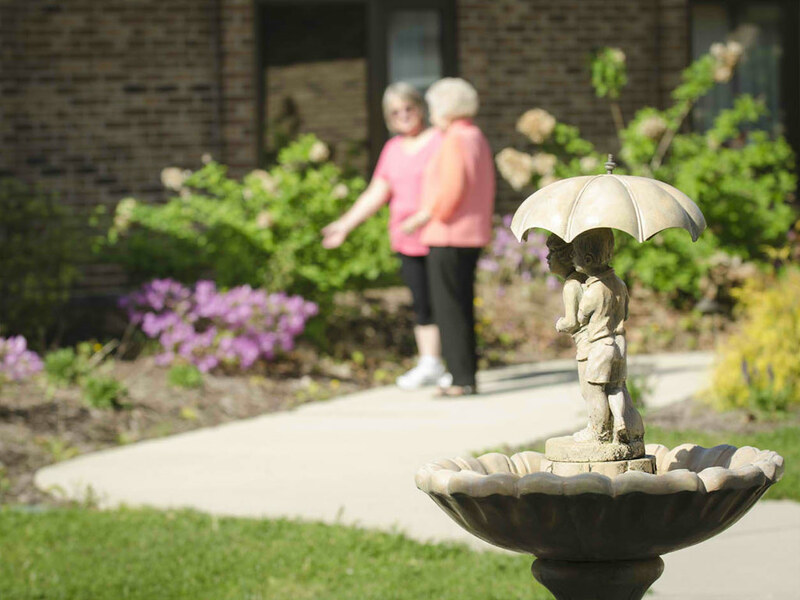 A place to call home… Moving into a long term care setting can be a difficult and emotional decision for the entire family. 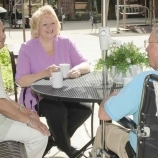 You can expect that when you choose Dobie Road, our staff will work with you to provide an understanding of long term care and how our comprehensive and compassionate team approach ensures you or your loved one gets the attention and service they deserve. 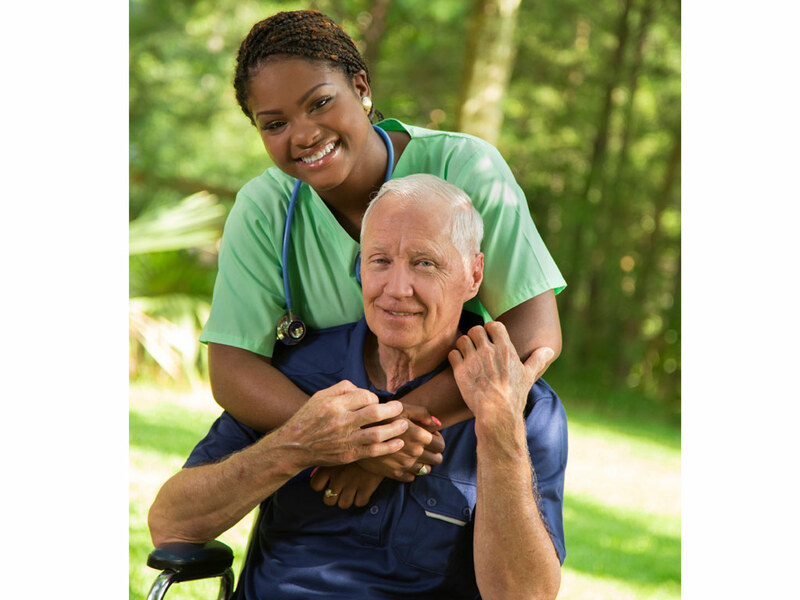 Dobie residents are provided care by some of the best geriatric physicians in the area, licensed nurses, certified nursing assistants and therapists who have the same goal – to help each resident develop to their maximum potential. 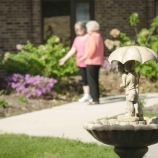 Our stunning campus is home to nearly 200 long term care residents and is located only 2.5 miles off I-96 in Okemos, Michigan. 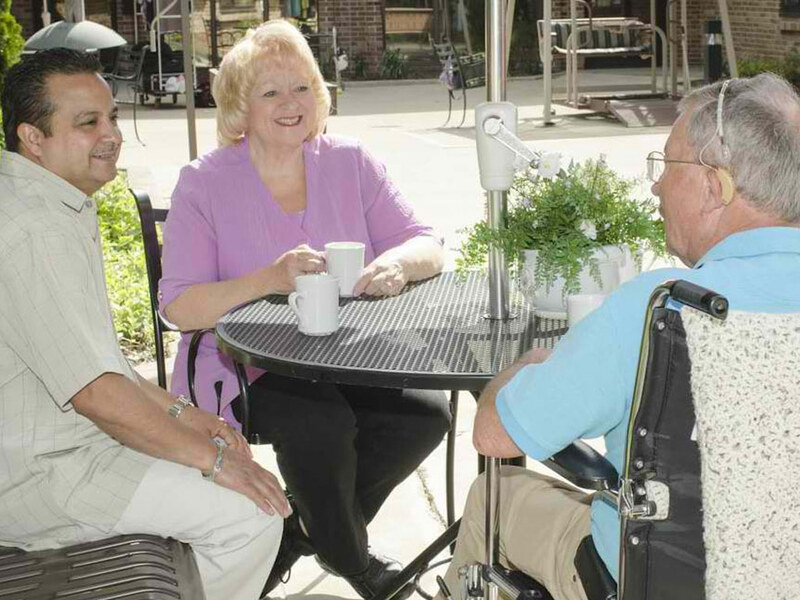 Residents of Dobie Road are able to enjoy our beautiful grounds that include a ½ mile handicap accessible wellness trail, indoor atrium that includes an aviary and fish pond, lovely courtyards with café tables and umbrellas, delightful gardens, our exclusive indoor 20×30 warm water therapy pool, and even a greenhouse. Dobie Road has been named one of US News and World Report’s top nursing homes for 2014, 2015,2016,2017 & 2018;so you can be confident that when you choose Dobie, you are choosing the best for your loved one. Part of the Dobie Difference and what sets us apart is our restorative nursing department. Two restorative nurses and 4 restorative nursing assistants work to assist residents & patients preserve an optimum level of function and independence. The restorative team strives to minimize declines and reinforce therapy programs by providing individualized ambulation and range of motion, group exercise class and assistance with dining when needed. In addition, Dobie’s restorative team continuously reviews the safety needs of our patients and residents by monitoring and assessing equipment and devices, evaluating transfers and ambulation, and educating staff, loved ones, patients and residents on safety precautions.